Masters tournament - live stream, odds, results, stats and fixtures! The Masters Tournament, sometimes referred to as the U.S Masters, is one of the four major championships in professional golf. It’s the first major that is played each year, being scheduled in the first full week of April. Augusta National Golf Club is the standing venue for the championship, located in Augusta, Georgia. One interesting thing about the Masters Tournament is the fact that the tournaments has a big number of traditions. For example, the winner each year is awarded with a green jacket that they must return to the clubhouse one year later. There, it’s stored with all the other winner’s jackets in a special cloak room. 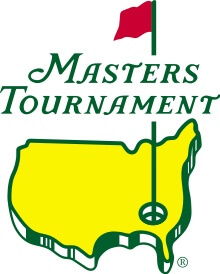 The 2019 Masters Tournament will be the 83rd edition of the Masters Tournament. As usual, it will be the first of the four major championships for the year. The tournament is scheduled to take place April 11-14 at the Augusta National Golf Club in the east of USA. The other three tournaments that are included in the majors are U.S Open, the Open and the PGA Championship. Patrick Reed will be the defending champion from the tournament of 2018. He won just one stroke ahead of runner-up Rickie Fowler, who climbed up from third place in the third round. Reed kept making birdies throughout the tournament, and made a total of nine of them. This was Reed’s first ever masters victory, making him Augusta’s forth consecutive first-time major champion. The U.S Masters is always played during the first weeks of April. The tournament lasts for a total of four days, usually between Thursday and Saturday. Here at Odds Expert, we provide you with everything you need to know about the tournament. We post the tournament schedule along with statistics and the best odds from lots of different betting sites. We also have a results page, so you can follow the tournament online! Online live streams from the Masters tournament is usually available. Some betting sites are streaming all of the masters tournament, so you can follow your favorite golf players the whole year. Unibet and Bet365 are two of the sites that does this. If you have placed a bet on the Masters, we strongly recommend that you follow the event through a live stream. It gives your betting an extra dimension, and you’ll get even more excitement out of it! In order to watch a live stream from the Masters on a betting site, you need to have a registered account with them. The rules for streaming differs a bit between the different sites, but sometimes you’ll also need to have a positive bank balance or have placed a bet on the event. Masters tournament is a competition with a lot of traditions. The most well-known one is that the winner each year is presented a very distinctive green jacket. The jacket is only allowed to be removed from Augusta National by the reigning champion during the first year, and then it has to be returned to the club. This is a tradition that has been around since 1949. In addition to the green jacket, the winner is also awarded a gold medal. Their name is also engraved to the Masters trophy, which came to be in 1961. The trophy itself remains at Augusta National, but since 1993 the winners have received a replica in sterling silver.